In Italy, bassist Alberto Rigoni is best known for his contributions to progressive metal. He has been a member of the Italian prog metal band Twinspirits and was the co-founder of Ascra, a prog metal cover band that has performed mostly Dream Theater songs. 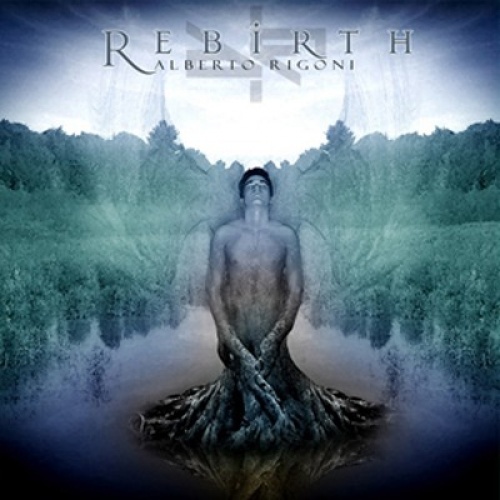 But there is no metal (prog metal or otherwise) to be found on Rigoni's second solo album, Rebirth; progressive rock, yes, but not progressive metal. And the prog rock that Rigoni favors on this 2011 release is mostly instrumental. There are two '80s-flavored vocal offerings: the brooding "Emptiness" and the more energetic "With All My Forces," both of which feature Swedish singer Jonas Erixon (other guests include bassist Michael Manring, Porcupine Tree drummer Gavin Harrison, Ark drummer John Macaluso, and Twinspirits guitarist Tommy Ermolli). But most of the tunes are instrumental, and there are hints of jazz-rock fusion at times, even though this is a prog rock album first and foremost. "Story of a Man," "Free," "White Shine," and other Rebirth instrumentals are not fusion in the strict sense; stylistically, Rebirth has more in common with Yes, Genesis, and Pink Floyd than it does with Weather Report or Return to Forever, but there are jazz overtones in some of Rigoni's electric bass playing. Although Rebirth isn't improvisation-oriented the way that fusion and other forms of jazz are improvisation-oriented, that doesn't mean that Rigoni can't bring a little jazziness to his prog rock instrumentals. Listeners who associate the name Alberto Rigoni with prog metal and expect Rebirth to be in that vein will be disappointed, but from a non-metal prog standpoint, this is a decent and satisfying effort from the Northern Italian bassist.